Last week, I shared with you some of my favorite gender neutral pillows for your kid’s room or nursery. 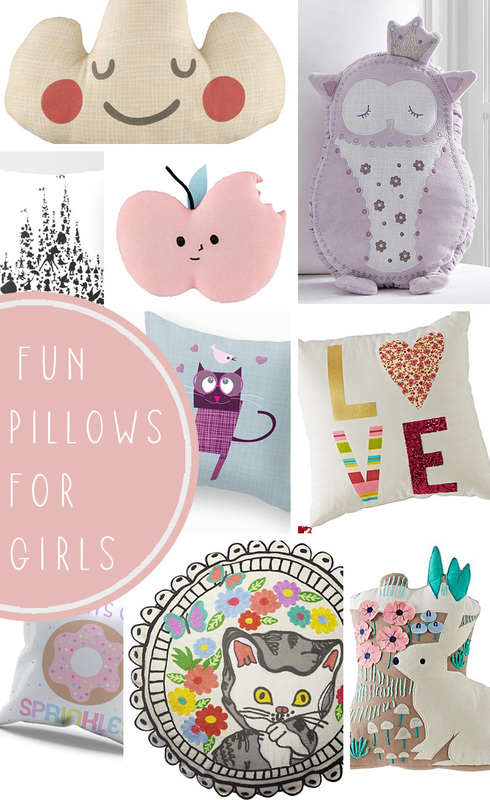 This week, let’s take a look at some fun pillows for girl’s rooms! I don’t know about yours, but my daughter loves pillows. She has four pillows in her playroom’s reading corner and is constantly adjusting them so she can be “comfy”. She is still in a crib right now, so we don’t use throw pillows yet (because, let’s face it, it’s too hard to keep a crib made nicely). But she does have an awesome pillow cover from Oh Susannah’s that she has to sleep with every night. 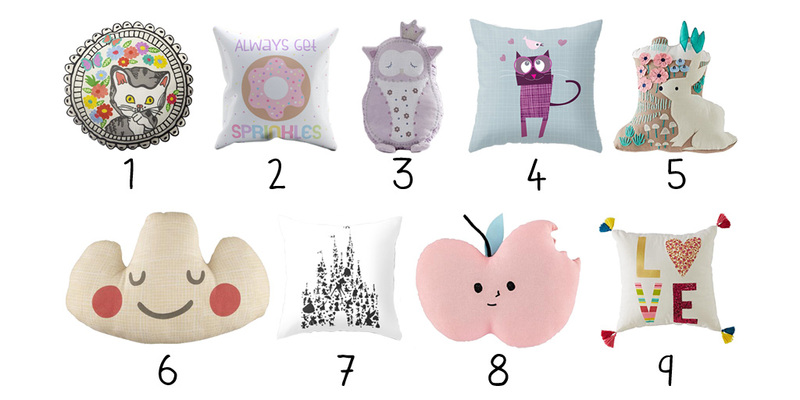 Here is a round up of some of my favorite girl’s pillows!